The Real Housewives of New Jersey, Jersey Shore, Jersey Girl, let's hope the new CBS drama Made in Jersey is nothing like any of those TV shows and movies bearing the same location in their title. 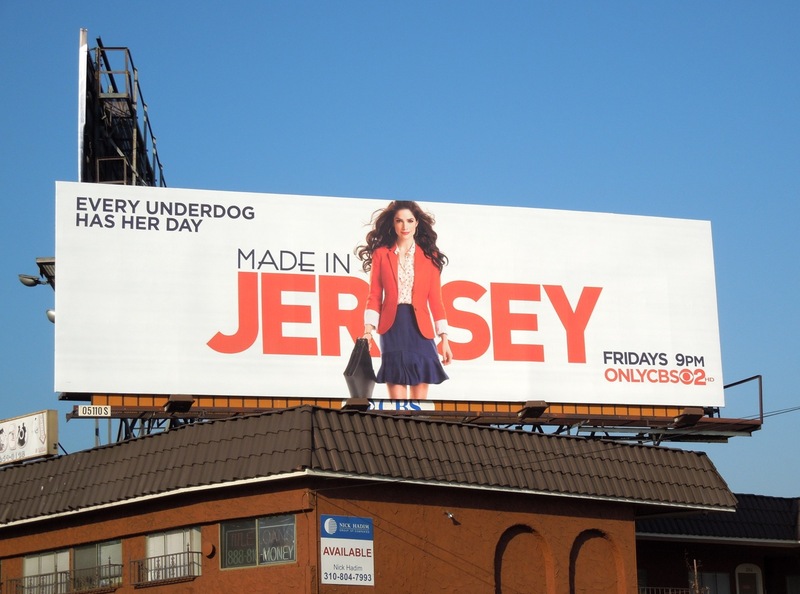 This series stars Janet Montgomery as the savvy working-class 'Martina Garretti' who uses her street smarts and tenacity to compete with the Ivy League crowd at a prestigious Manhattan law firm. 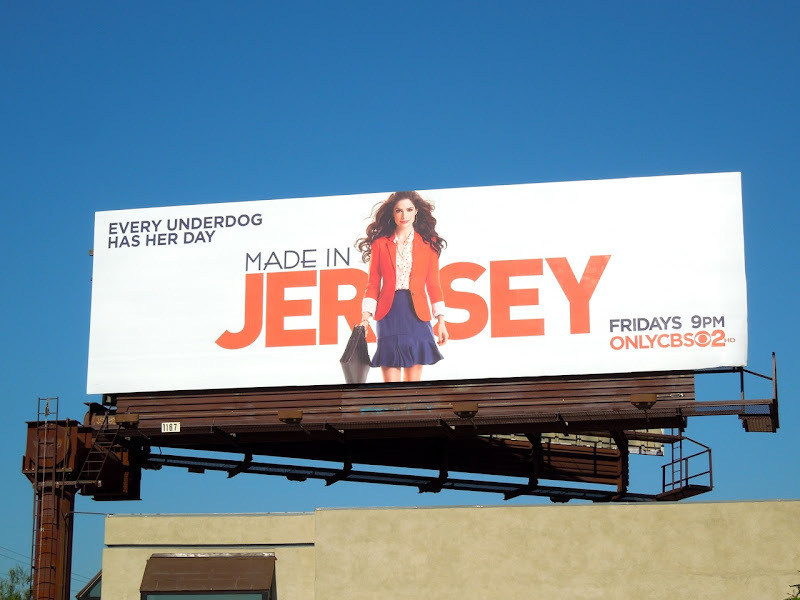 This simple season premiere billboard for Made in Jersey was snapped along L.A.'s 3rd Street on August 18, 2012. 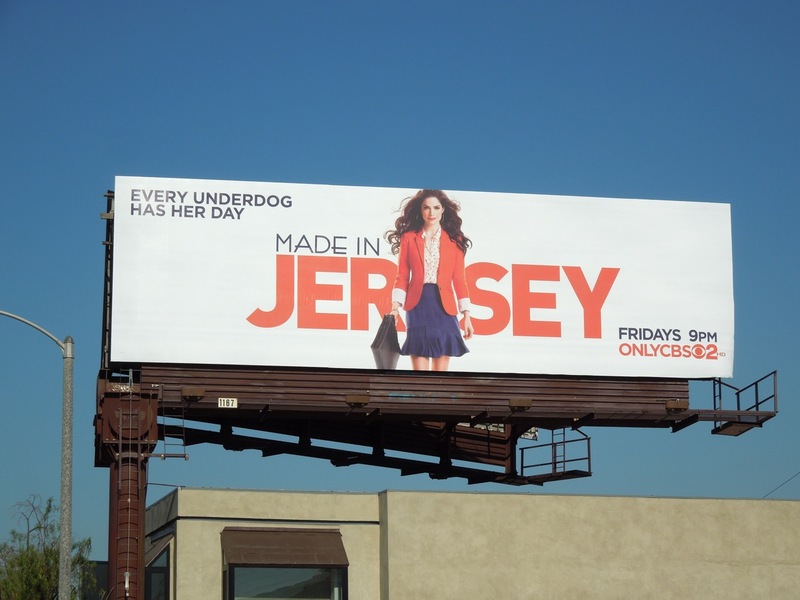 Will this underdog have her day and survive beyond more than a few episodes in this competitive new season of Fall television? 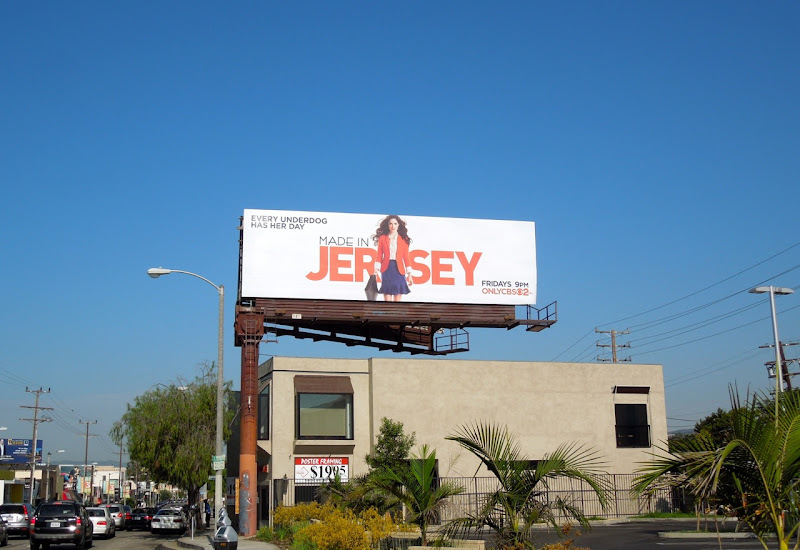 UPDATED: Here's another billboard for the new drama from along La Cienega Boulevard on September 26, 2012.